If you play sports at any level, you may find yourself in need of sports therapy in Grand Rapids, Michigan. Fortunately, there’s a physical therapy team in town that offers help for a variety of sports injuries. Advent Physical therapy has been providing high-quality physical therapy for Grand Rapids, Michigan residents since 1996. One thing we’ve learned from all of our years treating patients is that every person responds to a given injury or condition in a different way. This is why we only offer personalized therapy plans. This is also the reason we encourage you to discuss your concerns and goals with us. Using this information, we can build you a sports therapy plan in our Grand Rapids, Michigan office that may be more effective for treating your injury. Our team knows people often seek sports therapy for knee injuries in Grand Rapids, Michigan. In fact, one source shows that over half of all sports injuries are injuries to the knee. One knee injury our Advent Physical Therapy team often treats is patellofemoral syndrome. This injury occurs when your knee cap, or patella, rubs against your thigh bone, or femur. Patellofemoral syndrome commonly occurs in many types of athletes. For instance, our team has treated this condition in runners, cyclists, football players and basketball players. Another knee injury we often help people treat is an ACL injury. 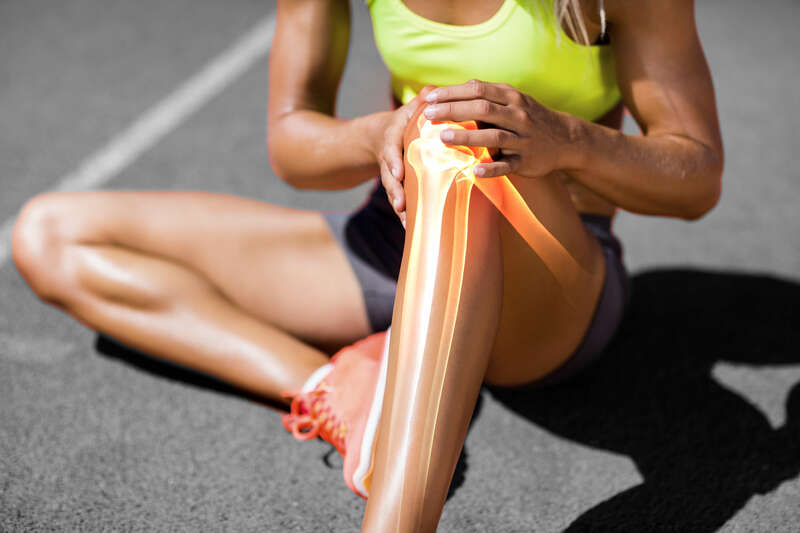 Your anterior cruciate ligament (ACL) is one of the ligaments found in your knee, and its job is to attach your femur to your shinbone, or tibia. This ligament also helps to stabilize your knee joint during movement. Our team knows that a heavy impact to your knee or a sudden stop can cause an ACL injury when you’re playing sports. These impacts and stops are common in several types of sports, and our team has treated this injury in many football, basketball and soccer players. The reason that our Advent Physical Therapy team may include these and other therapies in your plan is that we want you to get the greatest benefit from your therapy. We may even be able to reduce your knee pain and reduce the time you spend in therapy. Are you ready to start your sports therapy in our Grand Rapids, Michigan office? Contact our team today for more information or to schedule an initial appointment.